What topics should be prepared for DELF A1 and DELF A2? Do you want to officialize your level of French? You must present an official diploma attesting your level of French for a future employer, a school…? Les réseaux sociaux —> It is necessary to know how to express yourself during a simple telephone conversation and to know the vocabulary related to social networks and the Internet. Entrer en contact —> You must know how to introduce yourself, greet people, give them personal information. 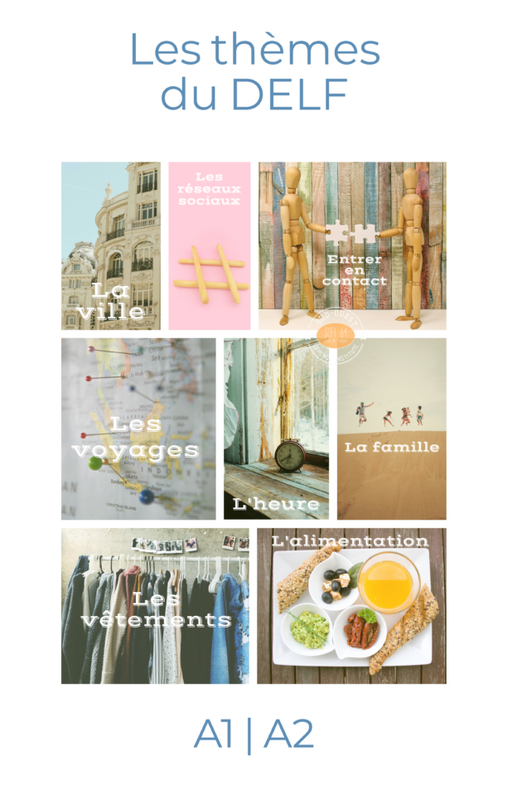 L’heure —> You have to know how to talk about schedules (shops, work…), your habits, your daily activities. La famille —> You must be able to introduce your family. Les vêtements —> It is necessary to know how to use the vocabulary of clothes and make purchases. L’alimentation —> You must be able to shop, talk about your food preferences, order from a restaurant. 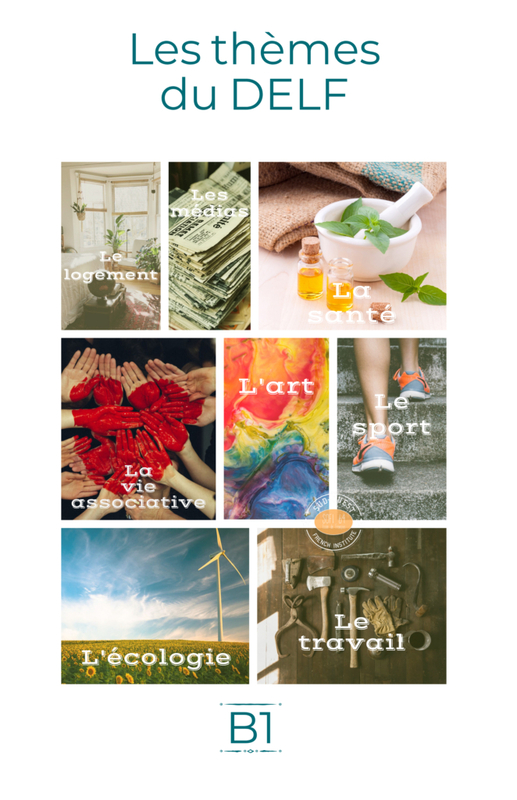 Next week, we will propose the essential themes for DELF B1 and DELF B2. 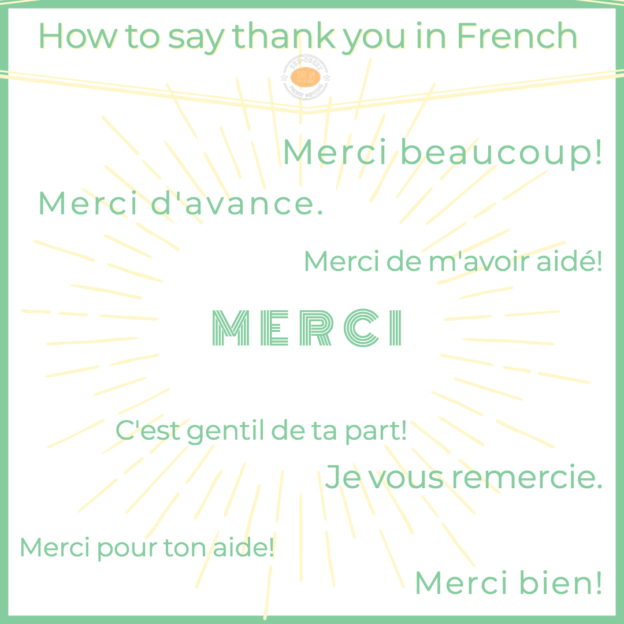 A quick guide to say thank you in French! “M e r c i ” a short, simple word, quite easy to pronounce. Being able to show gratitude is essential for us and for those around us. Thanking your neighbour, family, friends, employee or employer (…) goes a long way! “Merci” is the classic way to say “thank you” in French. You can use it in all types of situations. When you feel a simple “merci” would just not be enough, these are the right words to say. Used to anticipate the thanks because we want/we know that what we are asking for will be accomplished. It can be taken for a command though. When you want to thank someone for something they did for you, you must use “merci de + verb”. 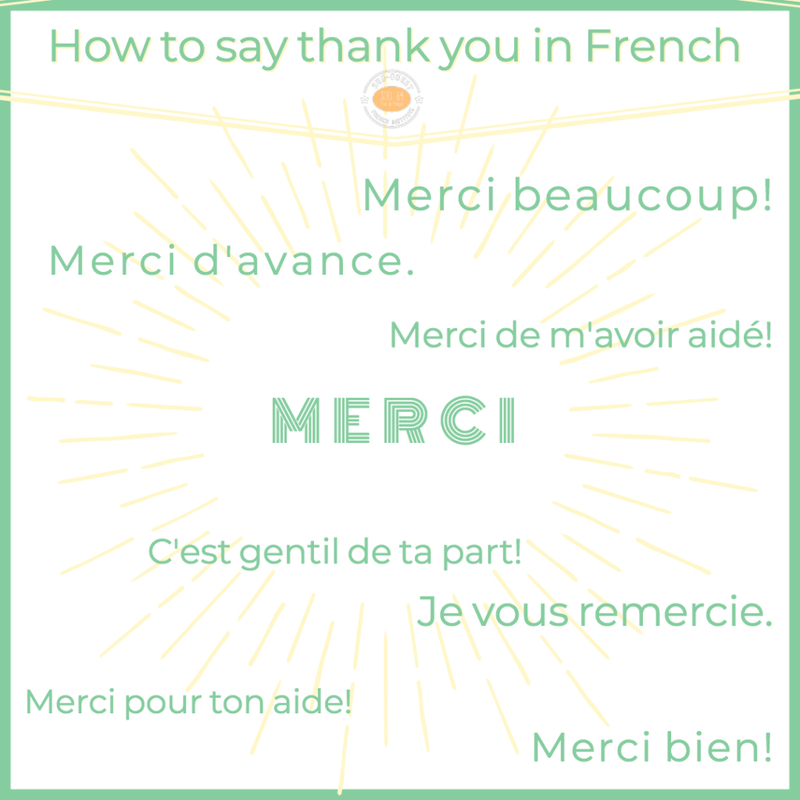 You can also use “merci pour + noun” to thank them for something they did for you. A bit like “merci beaucoup”. This is to show that you really appreciate what has been done for you. If you wish to sound more formal when you thank someone, these are the words to use. — Voilà, et avec ceci?